After 15 years of designing and building military armories all over the world, I thought it was time to put my thoughts down and create a series of educational pieces about modern weapon storage. 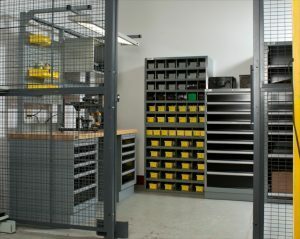 In the last few years, several office and filing storage manufacturers have entered the weapon storage rack market. These companies do not appear to have any real experience in this field. The storage systems they are representing or manufacturing simply do not work well in military armories. In order to make a proper decision, it is critical that armorers, commanders and contracting officers involved in the procurement of new equipment understand the basics of modern weapon storage and the pitfalls of doing it wrong. I have been brought in on many armory redesigns to fix issues that occurred after a new system was installed. 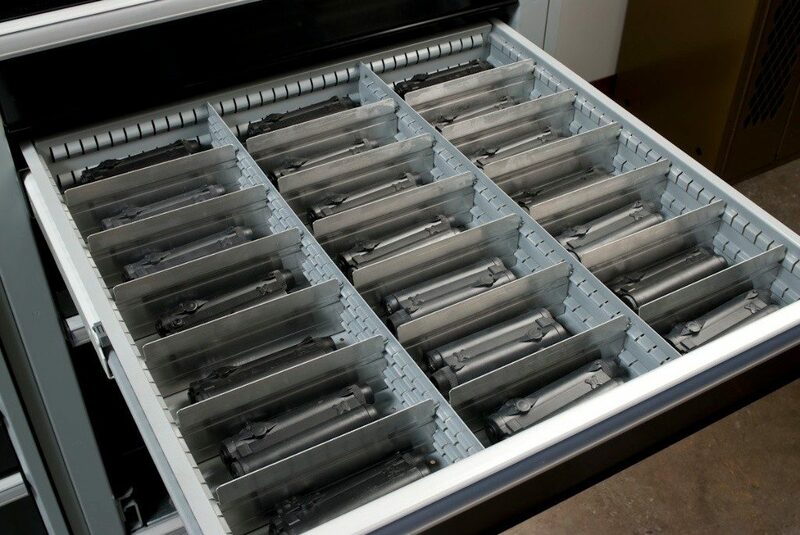 While a new weapon storage system may look great on CAD drawings or a fancy proposal, proper armory weapon storage is a function of system design and flexibility matching the armory’s intended use. Here I share my experience on the basic fundamentals of modern military weapon storage. When looking at military armories from storage to a daily/weekly work flow, we see escalation problems. Why are there so many problems in modern armories? Why do so many weapon racks look like a train wreck of weapons and gear. Why do sight counts, serialized counts and audits take so long? Why do so many things get damaged or lost? Why do soldiers still require stitches when an M4 falls from a weapon rack and hits them in the head? When new weapon racks are installed everything appears to work well. You come back a year later you see the problems occurring, 2-3 years later and the armory is a mess. Many manufacturers have taken the concept of flexible weapon storage that we outlined in our brief to USAFC 10 year ago, way off the deep end. Many weapon racks on the market today have so many brackets and different parts they are not stable storage platforms. What we found in real world applications are complexity related armory failings. While many in the industry say that armories are dynamic and change all the time. The reality is they do not. Yes, things change, but not quickly. A properly designed and installed weapon storage system should work efficiently for many years. While the armorer should be able to handle simple changes, if there are significant changes in weapons and gear, the supplier should be contacted to review the changes and make recommendations to adapt weapon storage system to the new gear. The components (weapon saddles, brackets etc.) should be attache to the weapon cabinet in a manner where they are not easy to remove or move. While they should be adjustable, adjustment should require tools and be very deliberate. This prevents “casual and often incorrect reconfiguration” of the armory. This is a growing problem. 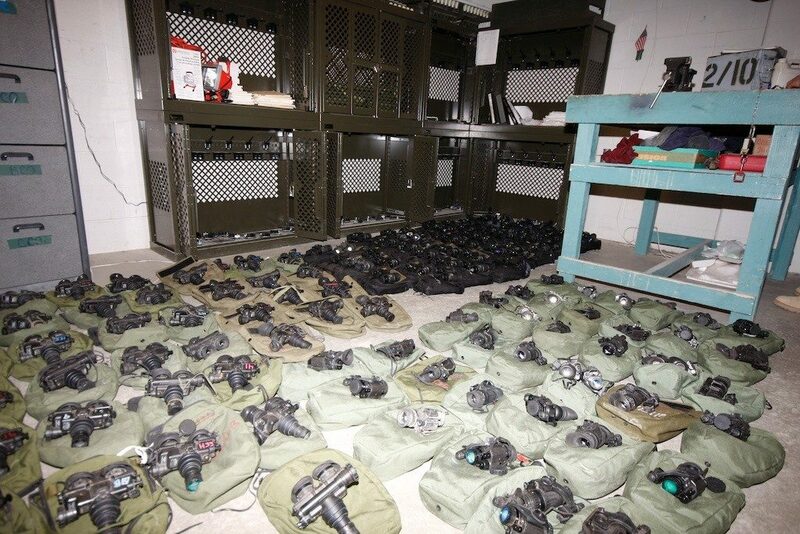 The volume of serialized and high value gear going into armories is increasing. Weapon racks do not properly store this gear. There are few armories that have proper or adequate storage for these assets. The result in high damage and loss rates as well and poor inventory/audit function. If there is a lot of gear, modular drawers are best. If gear is moderate, bins that integrate with the weapons in the weapon racks will work well. Shelving works for larger (mounts, bi-bods, cases, etc.) equipment but also can work for optics and smaller gear. Shelving is often used in conjunction with bins or shelves. Sight counts, inventory and audits will go much faster when your storage system is designed for that purpose. 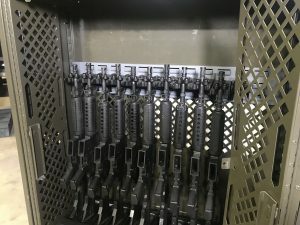 Simply installing weapon racks and filling them with weapons will satisfy regulations but does this provide a workable solution. Do not underestimate the value of space planning and layout work. A few hours of planning can safe thousands of hours of inefficient armory work. SecureIt provides consulting and design work at no charge for US military units. In image below, a security force armory was designed by an inexperienced company with a high density mobile aisle weapon storage system. SecureIt was asked to review the design. in these two drawings we were able to show that a static system would provide much better workflow and ergonomics for the very active armory. There are many considerations when upgrading or building an Armory. 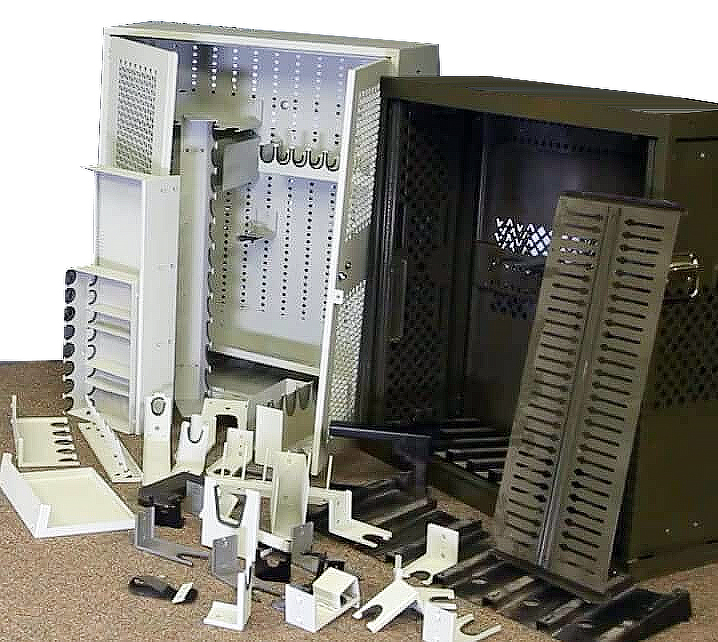 SecureIt has designed and built weapon storage solutions for US military units all over the world as well and many foreign fighting forces. 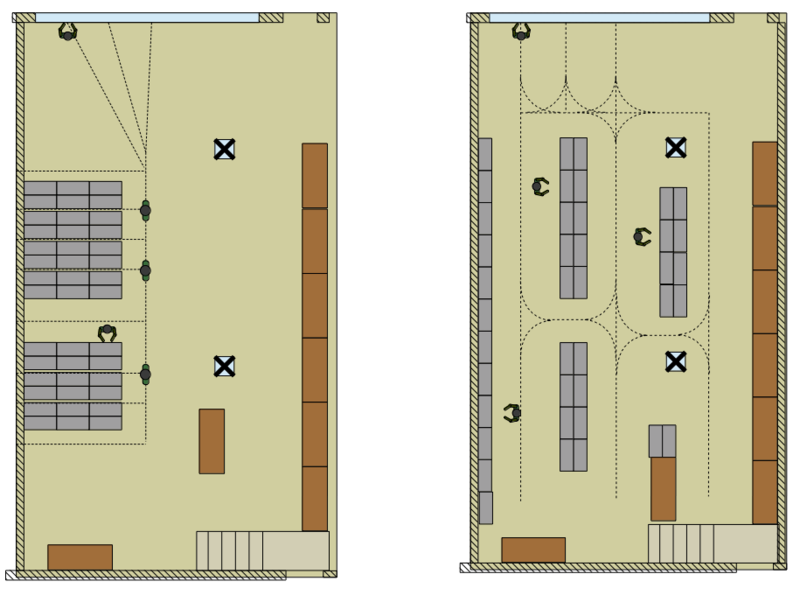 Contact SecureIt Armory design group for a no-cost evaluation of your arms room. « Beware of Cheap Imports!